we know the performance of Dijkstra's algorithm with binary heap is O(log |V |) for delete_min, O(log |V |) for insert/ decrease_key, so the overall run time is O((|V|+|E|)log|V|). Understand that we don't need to explore the full G in the modified Dijkstra run. Can someone explain why it is the diamond shape(the 45 degree rotate of a perfect square)? What is m and n in this case? (m means vertices? n means edges?) seems to me that $(|m|+|n|)^2$ is half of the vertices and edges visited，which is half of the Diamond/Square. Then not sure how is it is computed. In the example, we can assume the start cell $s$ is the origin in a plane consisting of square cells with Descarte coordinates. That is, $s$ is $(0,0)$. The coordinate of destination cell, $t$ is $(m,n)$. The distance of any two cells is given by the taxicab geometry. That is, the distance between cells $(p_1,p_2)$ and $(q_1,q_2)$ is $$d((p_1,q_2),(q_1,q_2))=|p_1-p_2|+|q_1-q_1|$$ In particular, $d(s,t)=|m|+|n|$. At the last step of running Dijkstra's algorithm with source cell $s$ when we visit cell $t$, all cells whose distance to $s$ is smaller than $d(s,t)$ must have been visited. Some of the cells whose distance to $s$ is $d(s,t)$ may have also been visited. 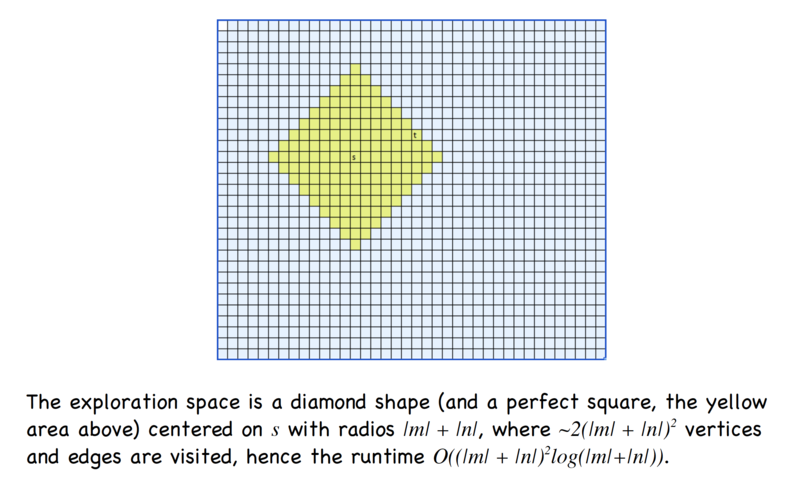 If you color all cells that are no more than $d(s,t)$ away from $s$, you will get a diamond shape whose boundary cells $(p,q)$ are given by the following equations. That diameter shape is, in fact, a circular disk with center $(0,0)$ and radius $|m|+|n|$ in the taxicab geometry. Yes, as you pointed out, "radios" should be "radius". How many cells are there in the diamond shape? 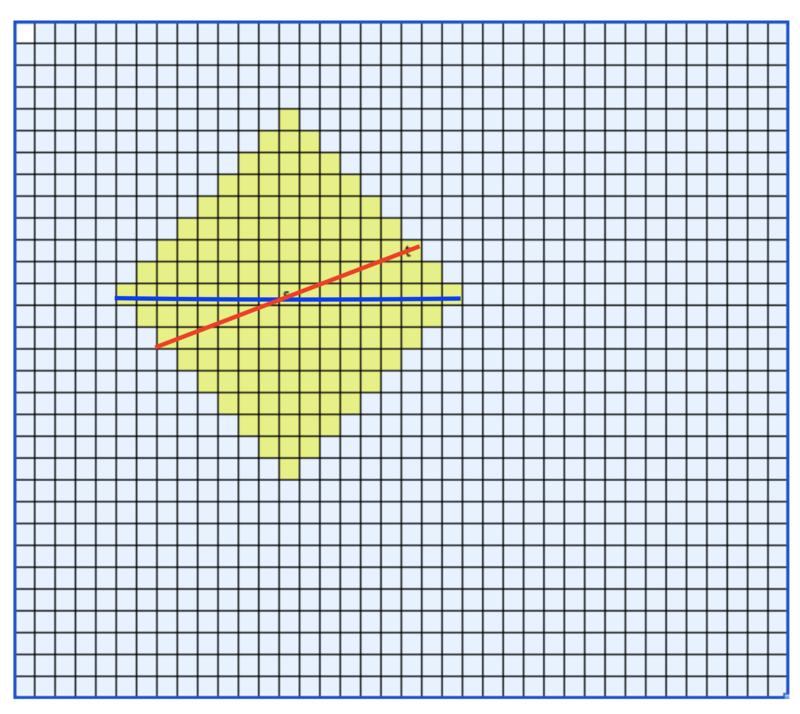 The diamond shape is actually a square the length of whose diagonals is $2(|m|+|n|)$. So its area is $(2(|m|+|n|))^2/2=2(|m|+|n|)^2$, which is about the number of cells in the it asymptotically. Exercise. The exact number of cells in a disk with radius $r$ in the taxicab geometry is $2r^2+2r+1$. In particular, there are 13 cells in a disk with radius 2. Not the answer you're looking for? 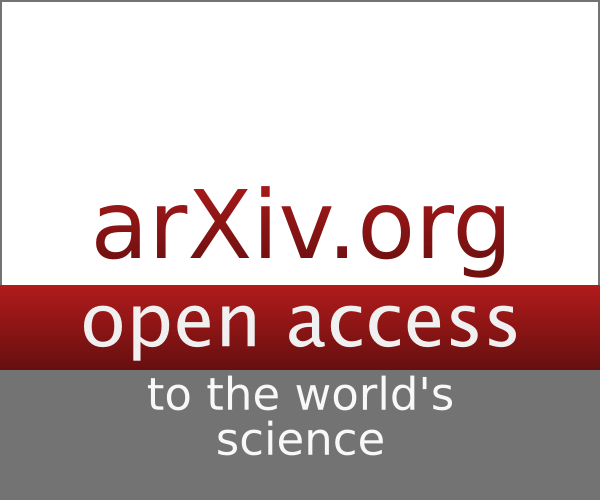 Browse other questions tagged algorithms graphs algorithm-analysis asymptotics performance or ask your own question. What's the complexity of calculating the shortest path from $u$ to $v$ with Dijkstra's algorithm using binary heap? Is Dijkstra's algorithm just BFS with a priority queue? Can I run Dijkstra's algorithm using priority queue?